This property is 10 minutes walk from the beach. 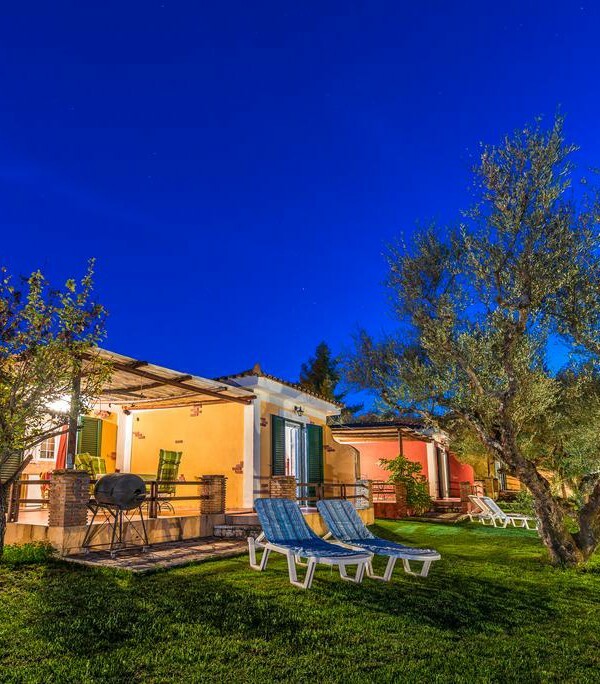 Set amidst an olive-tree garden, Ilyessa Cottages offers charming self-catering accommodation with free Wi-Fi access. The Blue Flag beaches of Ampoula and Psarou are 1 km away. The air-conditioned rooms of Ilyessa Cottages are traditionally decorated. They are self-catering and come with satellite TV and safety box. They have a furnished balcony or patio boasting Ionian Sea or garden views. Ilyessa can organize outdoor activities for its guests, such as hiking, horse riding or cruises around Zakynthos island. It can also arrange for car rentals. Zakynthos Airport is 15 km away from the property. The town of Zakynthos featuring many bars and traditional taverns is within a 20-minute drive. Free parking is available near the complex. This property also has one of the best-rated locations in Méson Yerakaríon! Guests are happier about it compared to other properties in the area. This property is also rated for the best value in Méson Yerakaríon! Guests are getting more for their money when compared to other properties in this city.